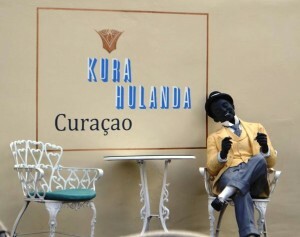 WILLEMSTAD - The Kura Hulanda Otrabanda and Lodge have to pay more than 6 tons in taxes and levies. This is according to the curator Remco van Arkel. Earlier Van Arkel had already issued a report about the Hotel and the Lodge, which were both declared bankrupt on October 25 and 30, 2013, respectively. The report showed that both hotels left millions in debt. This also includes the employees’ salaries and social benefits. The report also indicates that the luxury resorts, which were both part of Sandton Hotel Management International in the Netherlands, had not paid taxes since September 2013, but it was still unclear how much backlog was thus established. The curator has already received 218,000 guilders in tax assessment, including payroll and sales tax. In addition, there are 408,000 guilders involved in additional assessments of the Social Insurance Bank (SVB). This includes, among other the general old age fund (AOW). The tax and SVB have priority of payment, and then the employees who are preferential creditors. Both resorts have been reopened under the management of new operator GHL Hoteles from Colombia.